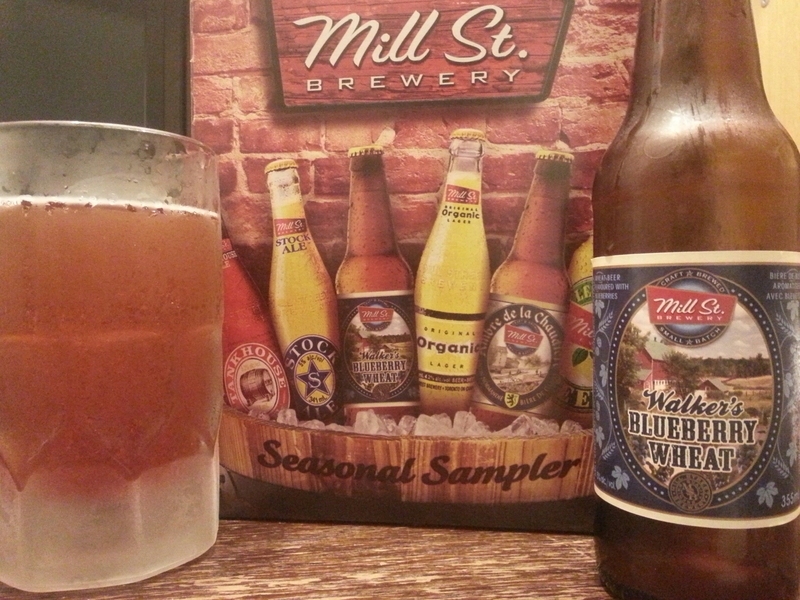 Walker’s Blueberry Wheat – Mill St. Brewery (Toronto, ON, Canada) | Justintoxicated. 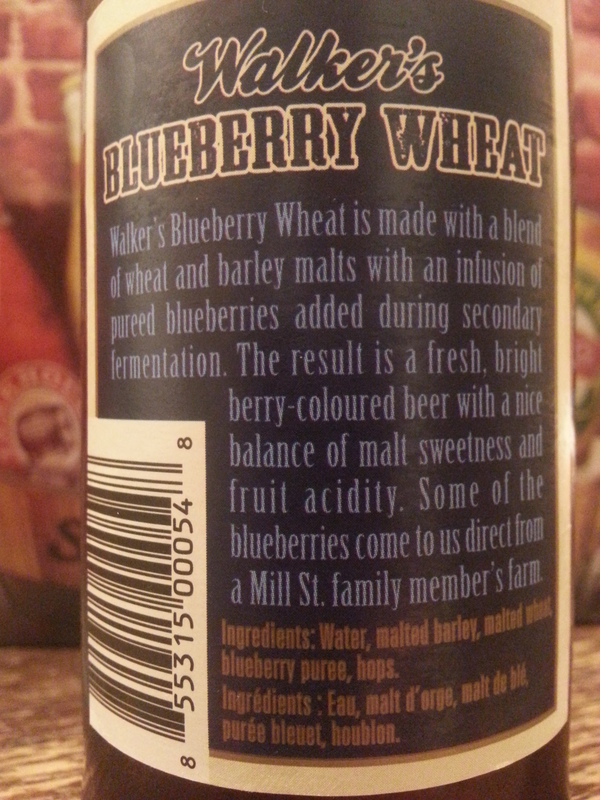 Ingredients: Water, malted barley, malted wheat, blueberry puree, hops. Visual: (seasonal sampler 6-pack). Pours translucent reddish-purple with suspended sediment, almost barely any head, thin ringed retention, a few small bubbles of activity. Finish: weak body, a touch of palate roughness. Summary: Barely any blueberry flavour nor prominent barley/wheat malt character. A mindless summer thirst quencher or meal beer, no depth at all.